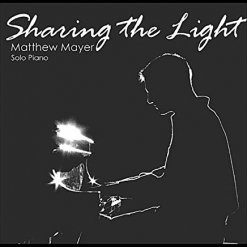 Matthew Mayer is an artist that I have known for close to twenty years, but we only just met in person this past March at the annual Whisperings Solo Piano Radio gathering in Kirkland, WA. Matthew is one of those special people who immediately feels like a longtime dear friend, and experiencing his warmth and sincerity was one of the highlights of that weekend. 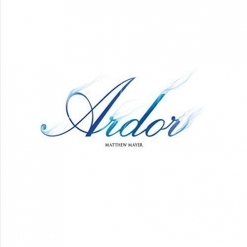 Matthew’s 2017 release, Ardor, was nominated for the Whisperings Album of the Year award, so it was great to see him play live at the “All-Star Concert” that weekend. 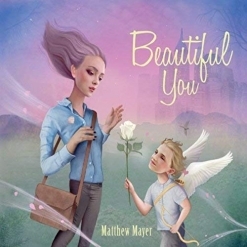 Matthew recently released his twelfth piano album, Beautiful You, which debuted at #1 on the Billboard New Age charts and just received a GOLD Parent’s Choice Award. 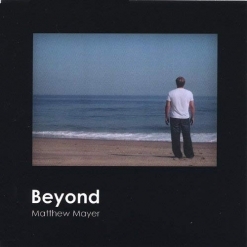 In this interview, we talk about Beautiful You and how Matthew’s career in music has evolved. Enjoy! KP: Hey, Matthew! How is everything in Omaha today? MM: Omaha is turning all things Fall. It’s a wonderful town :), and I consider it a very well-kept secret in the US. KP: You recently released your twelfth album, Beautiful You. This album carries with it a very powerful message. Tell us about it. MM: Thanks for asking about Beautiful You. This album’s main theme is “You Are Beautiful.” On the surface, that sounds a bit cliche’ and corny, but it’s meant to take the listener to a spot where they are told or feel that they are “Beautiful” just the way they are. As is. Right now. Every song attempts to drive the listener to that realm and space. If one listener takes a listen to this album, understands the meaning behind it, and perhaps just a chord of self worth resonates with him or her, I succeeded. KP: What inspired you to do a thematic album like this? MM: There was this overwhelming feeling that a message needed to get out, and this album kind of wrote and messaged itself. It felt right, not just creatively, but in the times we live today. My strong take is that in comparing ourselves to others or other people’s lifestyles, there is a devaluing that can take place within ourselves. We may question things or think our lives are not as good. I’ve been there in my younger years (many of us have) - not being the popular one, and getting teased for it. Those things can impact you for a long time. This message is to get back to the one common truth which is - our souls are beautiful. You are Beautiful. As is…..right now. KP: All twelve of the pieces on the album are almost minimalist with simple but profound melodies and not a lot of embellishment. I remember that early on, when I reviewed Beyond, I said that some of the pieces on that album reminded me of the late Dax Johnson. Obviously, those pieces must have been much more complex. What led you to a “less is more” kind of composition? MM: Really love this question, Kathy. You are right - back in 2003 when Beyond was recorded, and even a couple albums before - I think there was this underlying pressure that I was telling myself to “make sure you ‘Wow’ with either speed or unique technique,” or something, and although I love to play fast, I have had to mature quite a bit creatively to feel comfortable in the space between the notes. Again, to feel comfortable in that silence. I would jump to that next phrase sometimes without letting the one before breathe and speak its message. It took me a while, and today my compositions are definitely in the direction of a minimalist style and not always nearly as intense as a Beyond or Dreams. However, there is always another twist and turn to go on creatively, so who knows what is next? KP: Interesting! Your previous release, Ardor, was nominated as 2017 Album of the Year by Whisperings. I really love that album, too. How was Ardor different from Beautiful You? MM: Ardor was built around the theme of passion - coming from the hottest part of a blue flame - but represented, in the creative sense, that our soul is our source. “A Kindled Soul” is one of the songs on that album, and it is about times when you might feel the flame of your soul is out - but it’s never truly out. It may kindle sometimes - like a fire with no flame - and sometimes it just needs oxygen for you to explode. It was definitely the step into minimalism but within that style, it was an attempt to capture passion. I was floored to get a nomination from Whisperings. I remember being the last act of that show in Kirkland, WA and saying to myself, these are the best piano players in this genre today, and to even share a stage with them was both a humbling yet thrilling honor. David Nevue has done something with Whisperings that is just so amazing and true. I am truly proud to be a part of what he has created. KP: Me, too! I met David Nevue back in early 2004 when Whisperings was just getting started. David had such a clear vision of what he wanted Whisperings to become and how he wanted it to evolve. Building a community of pianists was something very different at the time, and I wasn’t sure he could pull it off. David has stayed true to his vision and Whisperings is unlike any other group of musicians that I’m aware of. 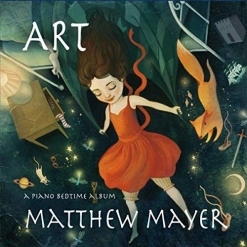 Art, the album before Ardor, was released in 2016 and was awarded the 2017 Parents’ Choice Award (silver). It was also named after your childhood piano teacher, who obviously had a huge influence on you. What made him special as a teacher? MM: I grew up in a small town in South Dakota (Canistota). It was around 700 people or so. I started playing piano shortly after my grandfather passed away, and wanted to start lessons (I was 12). Lo and behold, it was my neighbor right across the street who started me out. His name was “Art” and he had a spirit about him when it came to the piano. I remember he would sit down at the piano, and when I had learned a simple piece, he would take over and embellish that piece using many more keys and creating something "more" from it. I was like, “Man, that’s cool!” The Art album was a tip of my hat to him, as well as symbolizing the Artistic soul that is inside of kids, and something kids recognize, which is art in general - creativity. KP: That album was subtitled “A Bedtime Piano Album” and had seven original pieces as the odd-numbered tracks and arrangements of six lullabies and nursery rhymes as the even-numbered tracks. How did you come up with that approach? MM: I wanted kids to listen to this type of music. I think so often we assume kids need to hear a certain “cartoony” type of music, and I wanted to push that envelope a bit. I wanted a child to listen to instrumental versions of recognizable songs (“Twinkle Twinkle Little Star,” etc.) as well as to be introduced to composition and individualism. Kids want to explore, and in a lot of ways with my music, I am still a kid just wanting to explore. Just as Art (my teacher) embellished and added his style, I took those childhood songs and added my style to them. 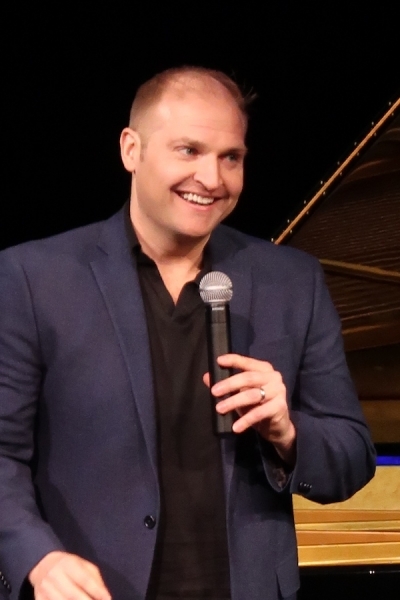 Matthew at Whisperings 2018 in Kirkland, WA. KP: When did you found SoloPiano.com? 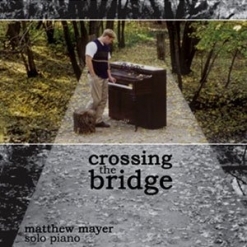 MM: I first bought SoloPiano.com when I was at the University of South Dakota in February of 2000, but the plan at the time was to start and market my first album, Crossing the Bridge, on that website. I had a good buddy, Joe Bartmann, and we would always study at the Newman Center and talk about life, dreams, goals, and I told him all about this site and what I wanted to do. 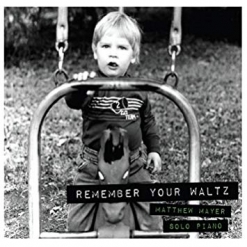 I remember us having coffee and he said, “Matt - you should make this for ALL solo piano players.” That was like in the Spring of 2000, and it hit home. 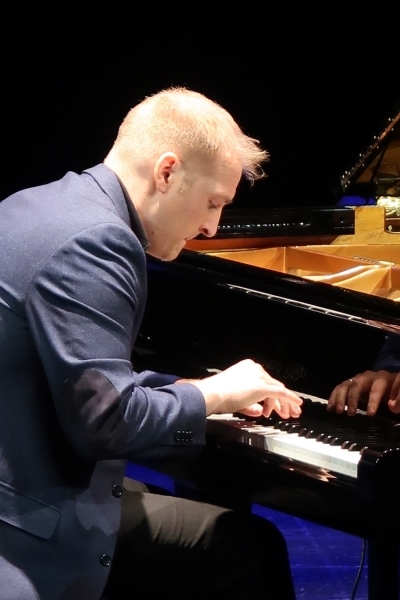 I had always thought of doing something holistically in the genre of solo piano, but he really solidified it for me and got me to think beyond just the one album release. Joe is still like that - he has a community view of things, connects dots - and that was the moment when I decided to make it a site for the entire genre. KP: How has it evolved over the years? MM: This question is interesting as the site was always evolving. I started by allowing artists to feature their music on the home page. I used whatever tools were available, as I didn't have the resources to professionally develop it and build the functionality to the extent I wanted. It was especially expensive to build the user-based functionality I wanted to back in 2000. So I would feature artists and link to other solo piano artists. 10 years - (yes, a decade after it started), I finally pulled together what I needed to build a fully sustainable and functional site for Solo Piano Artists from around the world to build their own solo piano pages, feature their albums, and choose from a variety of marketing packages in which we work with those artists and feature their music. Today we also link to their streaming platforms. KP: How many artists are part of the group/broadcast? MM: I’d have to check, but the number is over 300. KP: Excellent! Okay, let’s look back and get to know a bit more about your background. Where were you born and where did you grow up? MM: I was born in Mitchell, South Dakota (home of the world’s only Corn Palace! :)), and when I was 4, moved to Canistota, South Dakota. I loved growing up there, and today, Canistota just becomes more precious to me. It was a town of 700 people, and we rode bikes, drank out of water hoses, spent summers at the pool, and ate all of Judy Ligtenberg’s homemade goods. (Thanks, Judy!) I had the best teachers and mentors from that town. It was truly a village raising us. KP: What on earth is a corn palace?? MM: You'll have to google it... But it is the World's Only :) ! KP: Is anyone else in your family musical? MM: This will be a great opportunity to give my brothers a hard time. I did have music in the genes, but it was more than a generation away. My Grandpa Webster used to play piano at weddings and parties to help support the family. Later, I would see the sheet music he played and it was intense - he was good! My older brother, Mike, would say “yes” and get his Saxophone out. However, it was more how I started which almost makes me wonder about how real a possibility it is for parts of the human spirit to be "passed" down. KP: When did you start piano lessons and playing the piano? MM: It was about two years with Art Cooper. He ended up getting sick and passed away. Then I took a couple months with someone else, and ended up doing a lot of my own composition starting in high school. At my high school senior year concert, I had composed a 14-piece band arrangement called “The Passing of Time.” It was the first and only time it has been played. In college I went on to take collegiate level classical lessons for a time. KP: Were you encouraged to compose or improvise by your teachers? MM: Surprisingly the one who encouraged me most from an improvisational aspect was Art. Looking back, I value that the most. Other teachers, not so much. They were great and all, but it was sticking to the page and I’ve never been one to do that so well :) . It seems that there is always something I want to add to those notes. I definitely think there is an opportunity (especially at the collegiate level), to help students "explore" - and more importantly - to "connect" with the audience. KP: Do you play any other instruments? MM: I play a little guitar, trumpet, and can play some basic saxophone, but the piano has always been my go to. KP: Were you a music major in college? Matt performing at Whisperings 2018. KP: I can imagine! Have you done any teaching? MM: I have. I started a course in the Spring of 2001 titled "The Business of Music” at the University of South Dakota. I co-designed it with a professor, so a year after graduation I was teaching college students (basically my same age). That same year I spent one year teaching K-5 music at a private school in Vermillion, SD at St. Agnes School. I have also done some one on one piano teaching, but nothing for many years now. KP: How old were you when you wrote or composed your first piece? MM: I think I was about 16. Pretty basic chord progression, but I remember the "excitement" of creating something out of nothing. KP: Who and/or what have been the biggest influences on your music? KP: Who are some of your favorite composers? MM: A wide variety - they range from Winston to Ben Folds - from Chopin to Billy Joel. Absolutely all kinds. KP: What has been your most exciting music moment or musical experience so far? MM: There are two of them. The first was in Zagreb, Croatia last fall (The Capitol City). 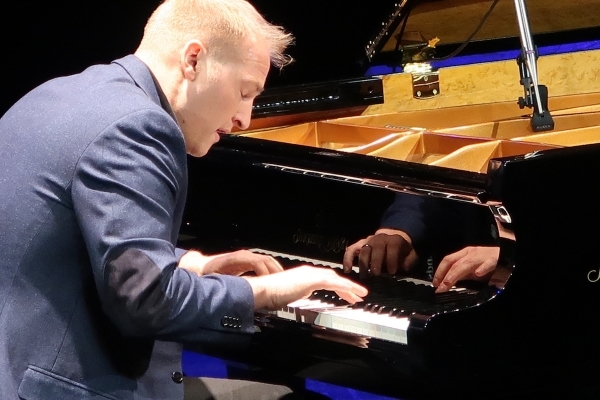 I had the immense pleasure of opening for Matej Mestrovic, Turkey's Hakan Ali Toker, and Matija Dedic. The National Theatre was packed, and running out on the stage and performing was literally a dream come true. One dream I always had was to play in front of a packed crowd that didn't speak my language, but connected in the spirit of music. That happened that night, and I’ll never forget it. The second was when Beautiful You debuted at #1 on Billboard's New Age Chart a couple of weeks ago. It was a culmination of many people supporting my music throughout decades, and it was a moment I'll always cherish. 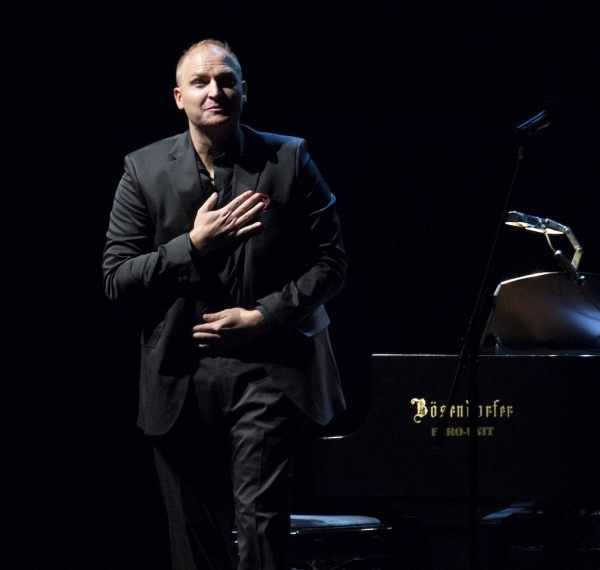 Matthew performing in Croatia in 2017. KP: Is there a particular philosophy that you try to convey in your music? MM: Not so much a philosophy, but there is always an attempt at ‘connection.’ I am not trying to push any specific agenda or message so to speak. What I am trying to be is “real." As real as I can possibly be. If I'm real and delivered that honestly, then I am doing my job. I've said it before that all artistic work is put in the court of public opinion. So if I’m real and I create an honest medium to connect with the listener, then that is being a musician (in my opinion) to the best of my ability. It's tough to convey your soul, it’s tough to put it on the line. But that is also where the reward is in the end - when you put it all on the line. KP: If you could have any three wishes, what would they be? MM: For my kids to grow up to have long, happy, and healthy lives. To be able to look back on my life and say, “I did the absolute best I could, with no regrets.” And finally, to banish the idea of a 5-day workweek. This sounds like a joke, but imagine a world where you spent most of that time with your loved ones! KP: Is there anything else you’d like to “talk” about? Many thanks to Matthew Mayer for taking the time for this interview! 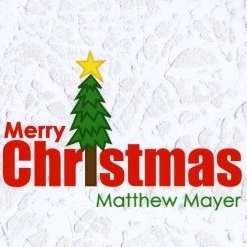 To find out more about Matthew and his music, be sure to visit his website and his Artist Page here on MainlyPiano.com.